Traditional Clinical Psychology has been more preoccupied with the remedial approaches to help psychological problems than preventing them in the first place. Now, we have sufficient knowledge and understanding of the processes underlying the onset and maintenance of psychological disorders. 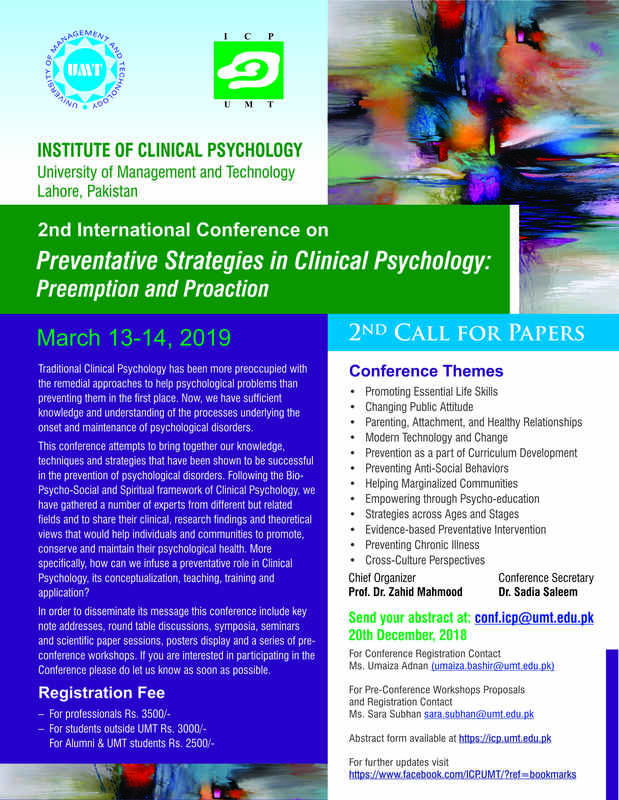 This conference attempts to bring together our knowledge, techniques and strategies that have been shown to be successful in the prevention of psychological disorders. A number of experts have agreed to participate in our conference to discuss their views on spreading preventative clinical approaches to help the individual as well as communities at large. Use this email address [email protected] for all correspondence of this conference. Please make sure that you are the corresponding Author.